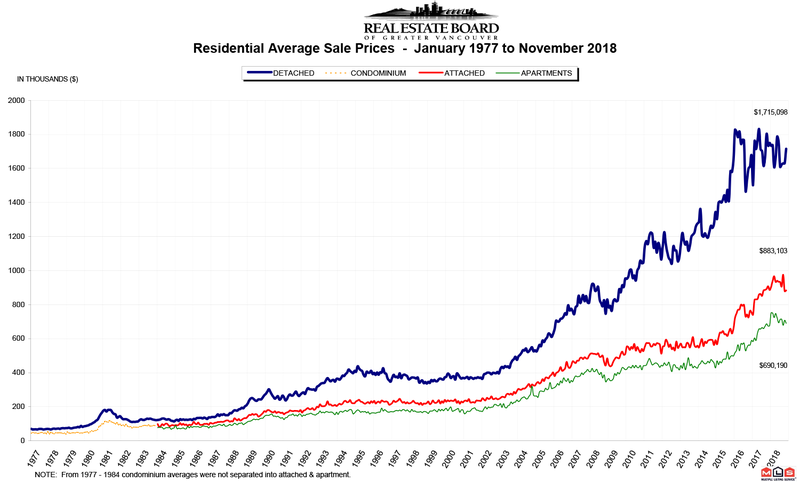 VANCOUVER, BC – December 4, 2018 – Home buyer demand remains below long-term historical averages in the Metro Vancouver* housing market. $1,500,100. This represents a 6.5 per cent decrease from November 2017 and a 1.6 per cent decrease compared to October 2018.